One of the reasons I changed the direction of my blog and started blogging about beauty was because I wanted to know what products were worth purchasing. Back in the day I didn't wear make up daily, I worshiped at the ground of Mac eyeshadows, lived for YSL mascaras and the only base product I wore was the now discontinued Benefit You Rebel Tinted Moisturiser. Often I'd find myself in the local supermarket and think to myself I'd like to treat myself to something, just a 'cheap' lipstick or similar and would become blinded by choice and walk out empty handed and then there was the shopping trips with mum where we'd swoon at high end beauty counters and treat ourselves to whatever caught our eye. My obsession with Chanel Nail Polishes has already been well documented. Nostalgic ramblings aside bring me to the point of today's post. High End expectations. I've certainly discovered a love for drugstore products in recent years and whatever your preferences it's safe to say there are some great products available for 'affordable' prices but that has led to my expectations of those more expensive luxe products being much higher. Whilst I'm not against picking up a drugstore product or two when I treat myself to a new make up product it's often from a higher end brand, particularly when their limited edition collections can be so hard to come by. Therein is the first problem. Chanel's Rouge Noir Collection for example, we're subjected to various images and reviews in advance of launch dates and being lusting over the the collection, mentally listing what pieces we want to purchase. Then launch date arrives and if you don't hit the store on opening there is a distinct possibility you will miss out. How often have you missed a Mac collection despite being online line at 10.01 and adding things into the basket. After all that effort if you are lucky enough to nab the item you wanted there's a hit of euphoria. You post on instagram with a little smugness as others share their tale of woe that they missed out and if you're a blogger it'll remain untouched, stared at and stroked until you take the necessary photos and write a blog post. Next you are finally about to add to your make up routine and after all that build up, effort you, or certainly I have some pretty high expectations. If you're anything like me you'll often have designed in your mind the perfect justification for why you 'needed' such a product. Take the NARSissist Eyeshadow Palette. When this was covered by bloggers I decided this palette would change my life despite not being that familiar with the Nars brand. 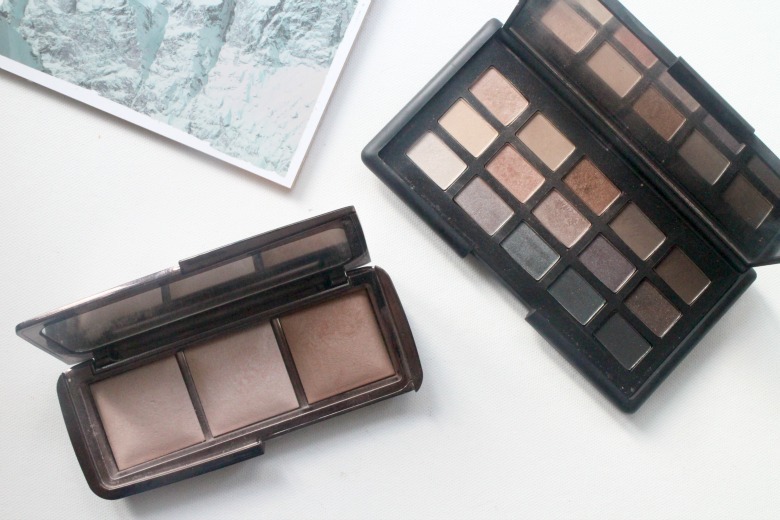 A large selection of eyeshadows in neutral shades this would be my go to eyeshadow palette. All I would need. One step away from bringing peace to the world. It wasn't cheap but it was worth it, I just knew it. Unfortunately I dithered and missed out on it's first run which as is often the case when you can't have something, you want it more so when it's next release occurred I was ready. I phoned Selfridges, had one put aside and dragged myself from bed and into London to purchase. I was happy. Euphoric. Life was good. But some time later would I purchase it again? I don't think so. Are the eyeshadows good, yes there are? But is the palette more loved than my Bourjois Smokey Eye Quad? Probably not. It was a similar story with the Chanel Entrelacs Eyeshadow Palette, again it was going to change my life, all I would need but unfortunately the pigmentation was just a little off and it's paled in comparison to other products in my collection. It's not all bad and you could argue I should research more, investigate the product at counters but as I've already mentioned sometimes you don't have the luxury of time. The Hourglass Ambient Lighting Palette is a favourite amongst bloggers and I remember the high when I managed to purchase in the US, despite it not being on the counter at Sephora one of the assistants checked out back and they'd been released and then it fell to the back of my collection. Recently I've been using this product and starting to love it but it's definitely been a slow burn. In contrast if I buy a lipstick from Collection or Rimmel and it doesn't favour well I'll happily cast aside without another thought but it's the high end items I have the higher expectations of. Do you think that's fair? What are your thoughts?